Exults Internet Marketing Agency continues to see strong exponential opportunities for their clients on both Amazon and Google despite recent revenue reports. “Although Wall Street believes the recent Google and Amazon revenue numbers are underwhelming, Exults has seen rapidly increasing business momentum on these advertising mediums, “ said Zach Hoffman, CEO of Exults. The Wall Street Journal recently published revenue reports that may lead the general public to believe the growth of Google and Amazon is slowing down. Amazon’s third quarter profits were at $2.88 billion, 11 times greater than last year’s figure. However, its revenue only increased by 29% to $56.58 billion. Since analysts predicted Amazon revenue would reach $57.1 billion, Wall Street was disappointed by this number. Although Google parent Alphabet’s net profit rose nearly 37% to $9.19 billion in the third quarter, overall revenue only grew by 21% to $33.74 billion versus 24% growth in the same time frame over a year ago. While the revenue numbers of Google and Amazon were not as robust as Wall Street hoped they would be, Exults continues to see strong exponential opportunities for their clients on both of these platforms. Exults is a strong advocate of both Google and Amazon because they can help businesses of all sizes meet (and even exceed) their business goals. We use Google search to create ads that target the ideal customers or clients of a business. Google search ads allow us to reach online users who are within a certain age range, gender, parental status, or household income. Amazon is a large retailer with a growing advertising business. Amazon ads are also useful to our clients as they allow our agency to target customers on or off the platform. We can use shopping behaviors to reach the right customers or clients and deliver compelling ads that inspire them to take action. Regardless of whether a business sells on Amazon or not, Amazon ads are an invaluable resource. By advertising on Google and Amazon, you can place your product or service in front of potential customers or clients that fit your demographic criteria and have strong buyer intent. We have no doubts that Google and Amazon will continue to be popular advertising platforms that create high-quality leads and valuable engagement. If you’re interested in learning more about how they can benefit your business, contact Exults Internet Marketing Agency today. Exults is a full-service internet marketing company that is results driven for its clients and offers a complete range of internet marketing services to reach its clients’ goals. Exults premier services include Website Design, Search Engine Optimization, Pay Per Click Management, Social Media Marketing, Video Optimization, and Digital PR. For more information, please visit the Exults website, call us at 954-763-1130, or check out the five-star ratings and Exults reviews on Google! 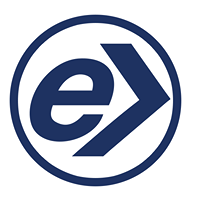 You can also find Exults active on Facebook, Linked In and Twitter.